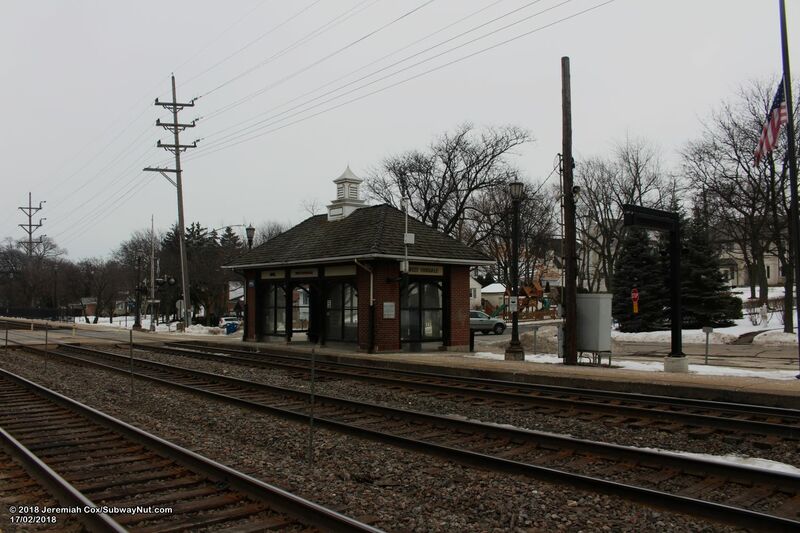 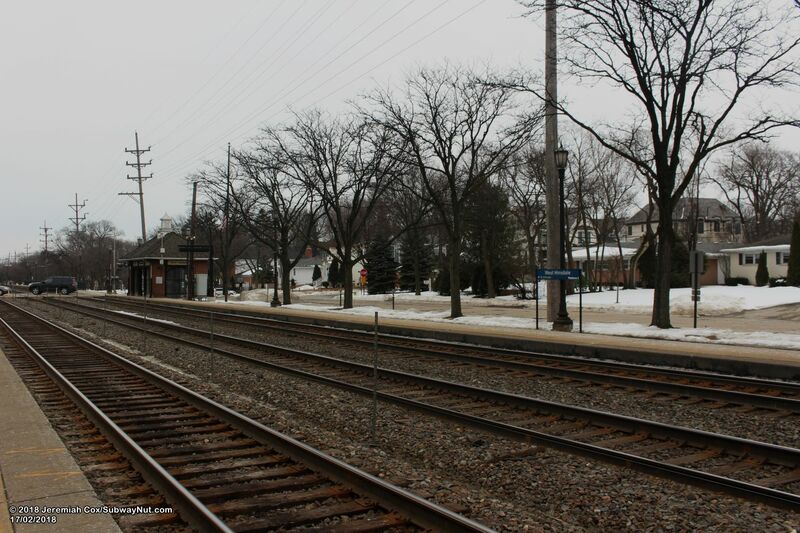 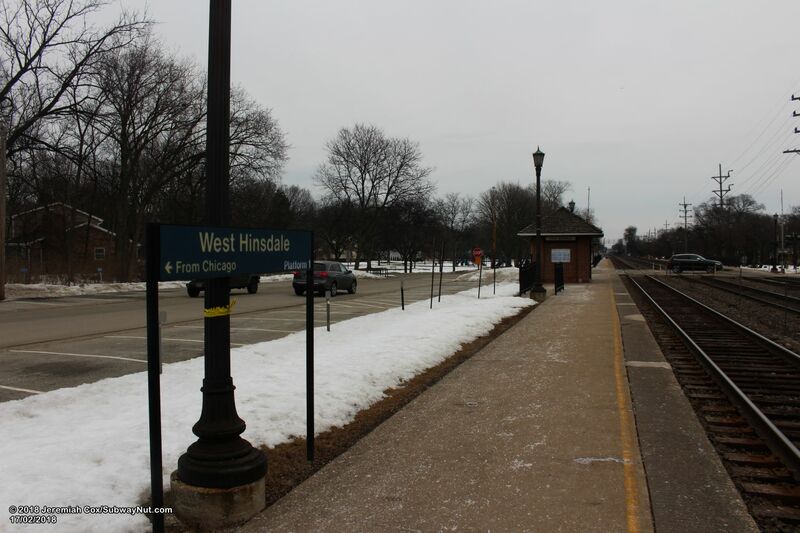 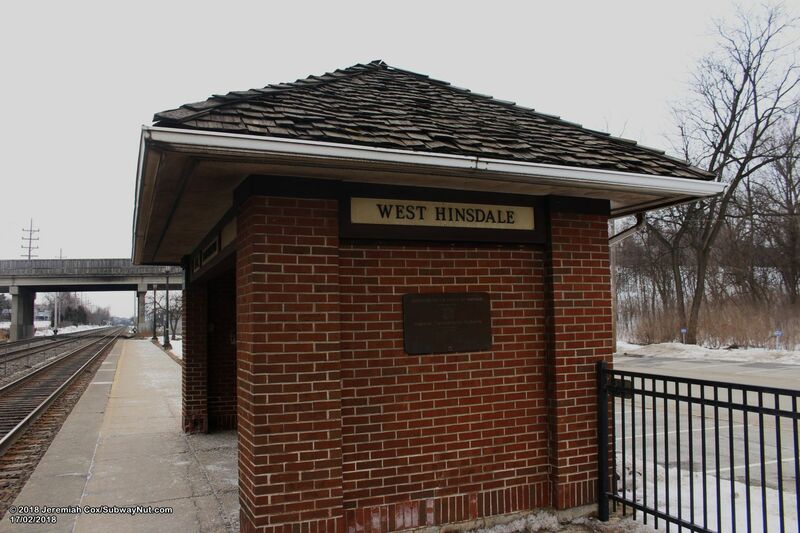 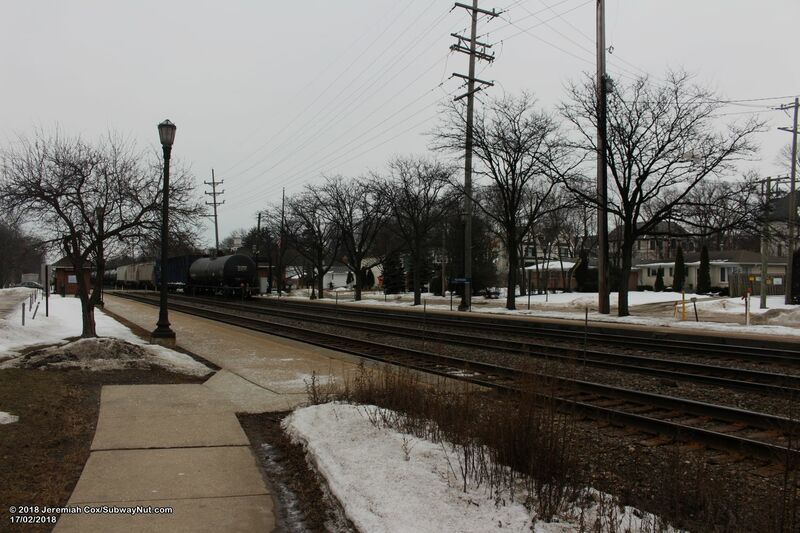 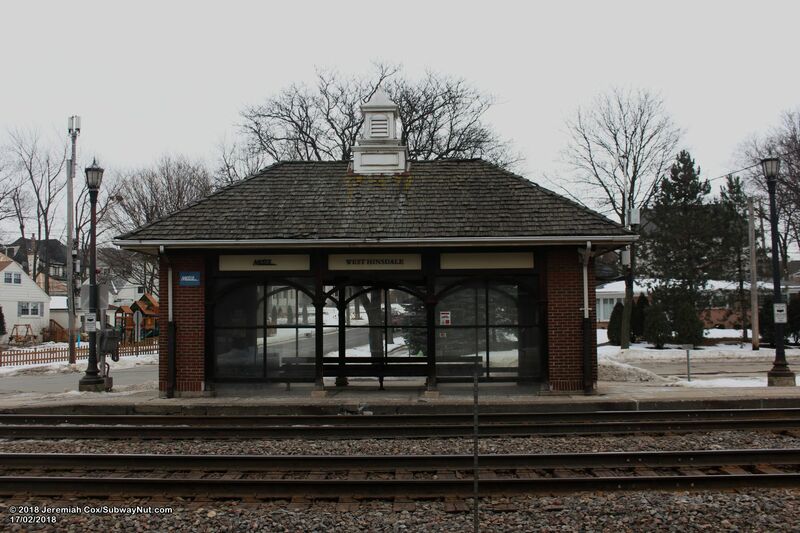 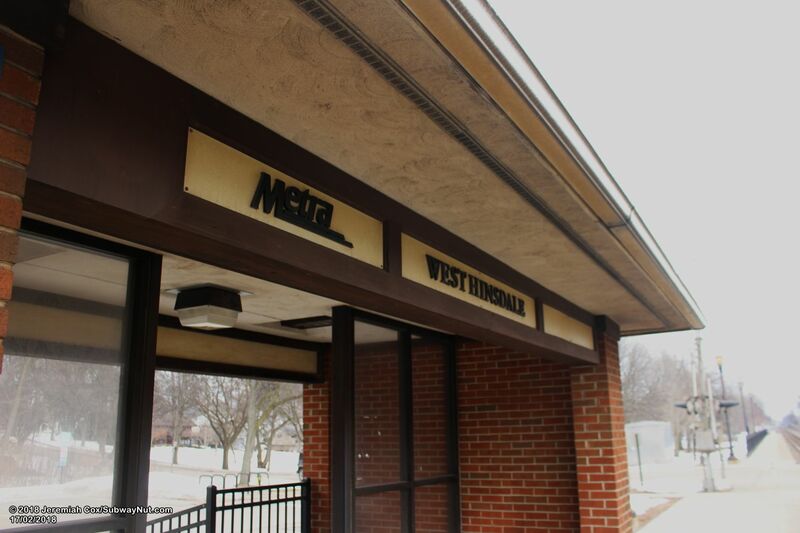 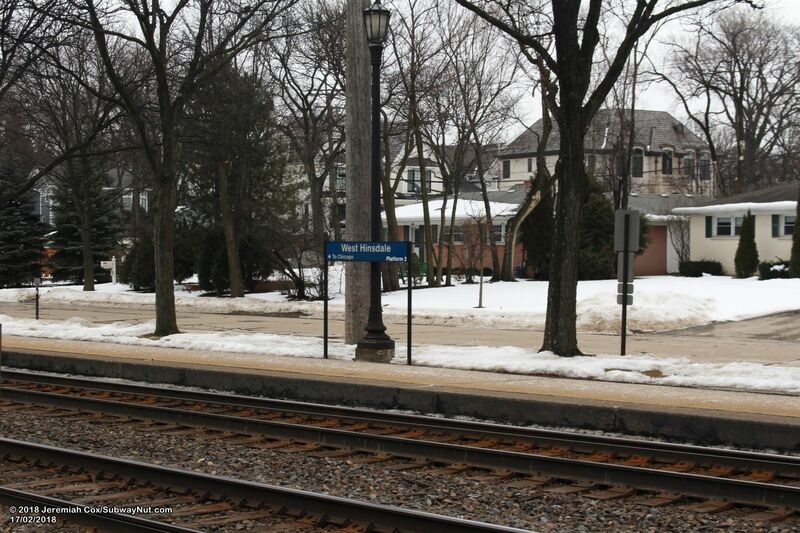 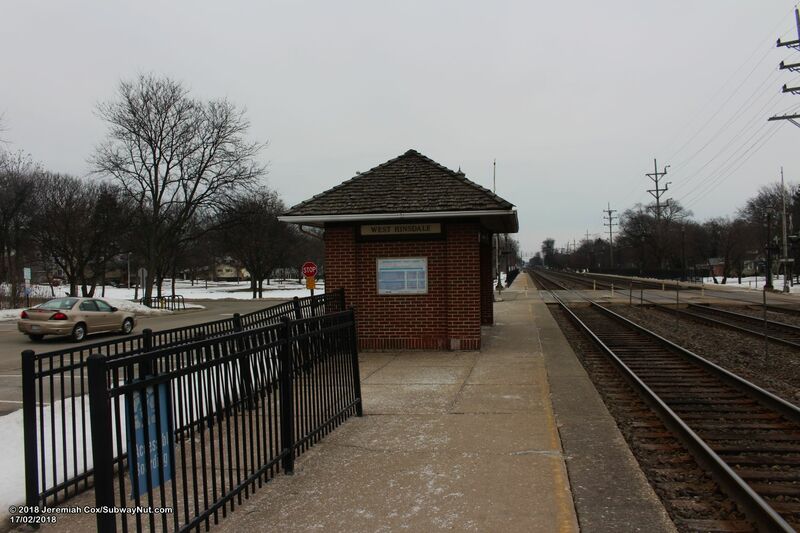 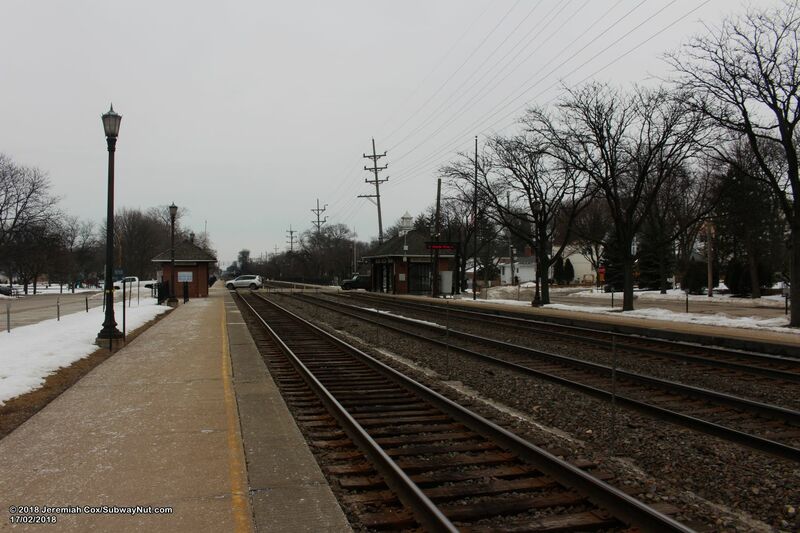 West Hinsdale is a minor BNSF Railway Metra station, only recieving service on Weekdays, all Weekend trains skip the station to speed up service. 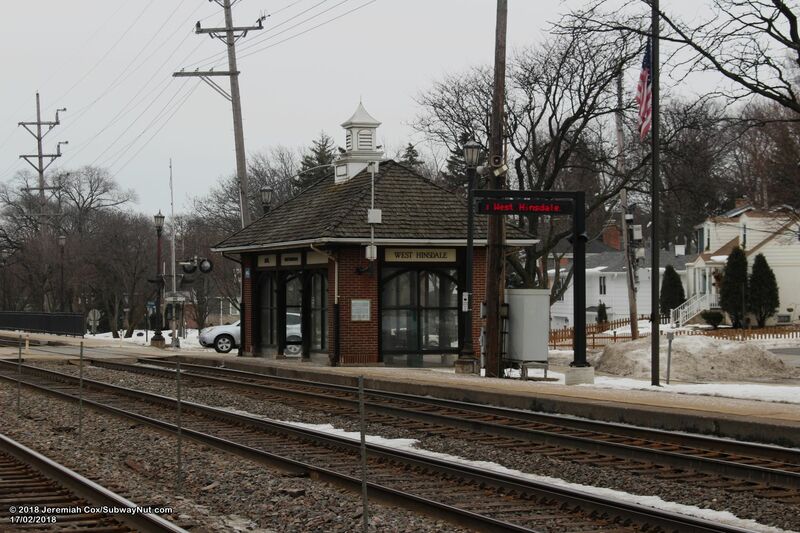 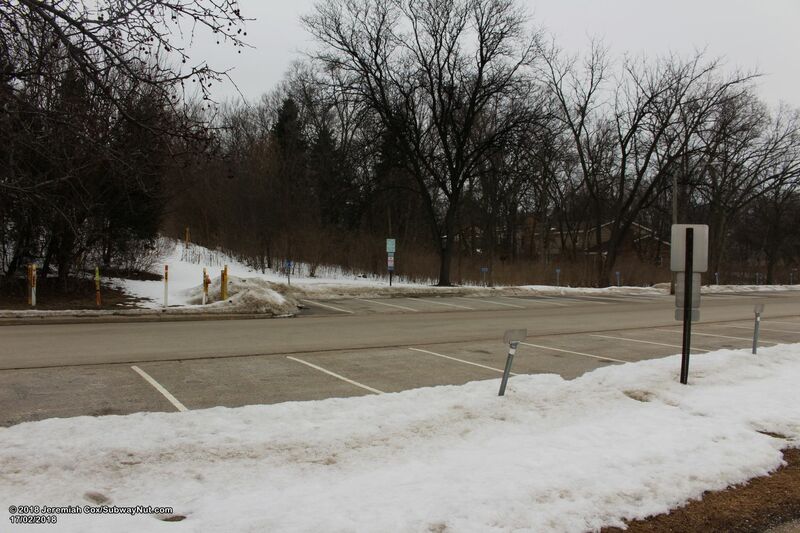 The western end of the outbound platform is just 1,500 feet (0.28 miles) from the eastern end of the outbound platform at Clarendon Hills, with the angeled parking spaces on Burlington Avenue (149 to be exact) for commuters running continuously between the two stations. 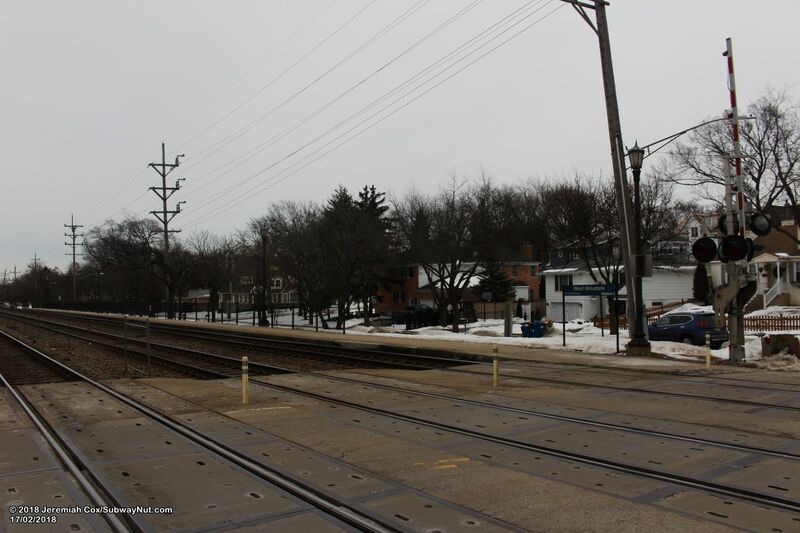 The has two side platforms for the three track line split by the Stough Street grade-crossing. 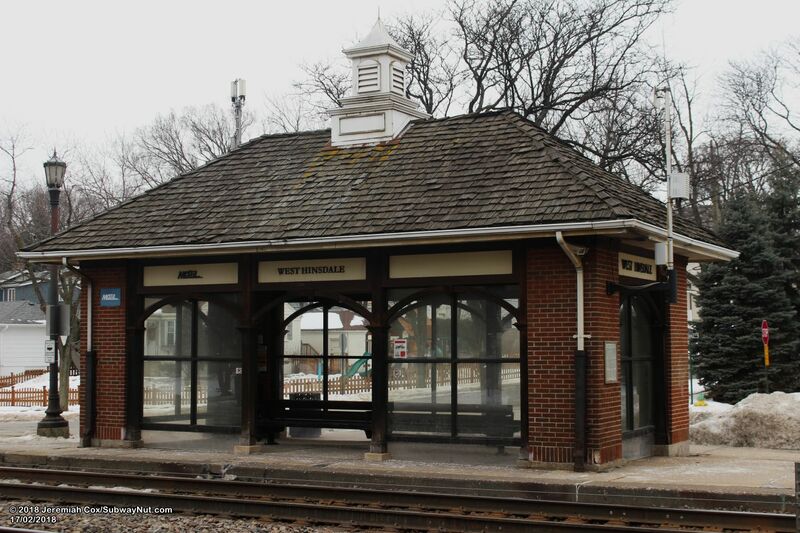 For passengers each platform has a small brick shelter with a gabled roof, on the western half of each platform. 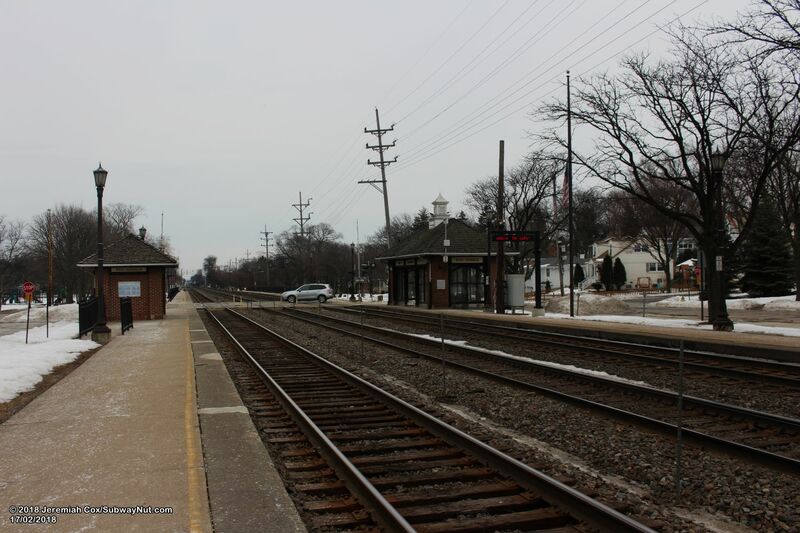 The one on the Inbound platform is slightly bigger and has more glass. 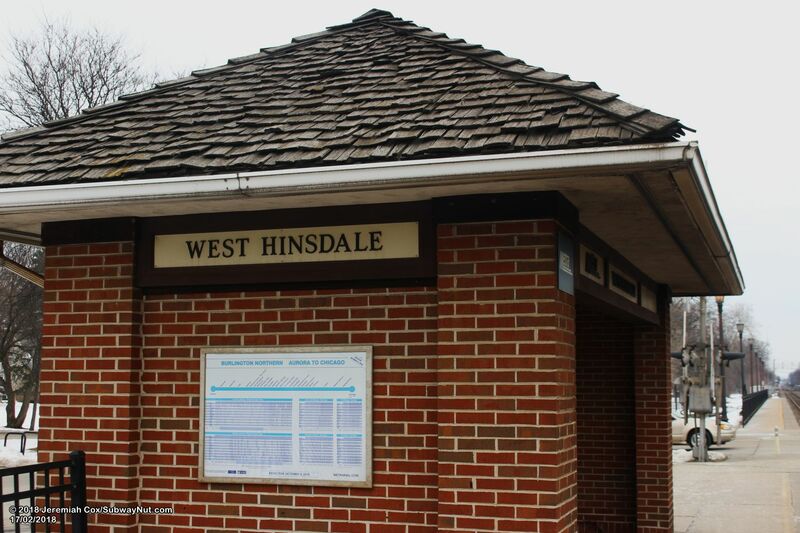 lettering says West Hinsdale beneath the gabled roof. 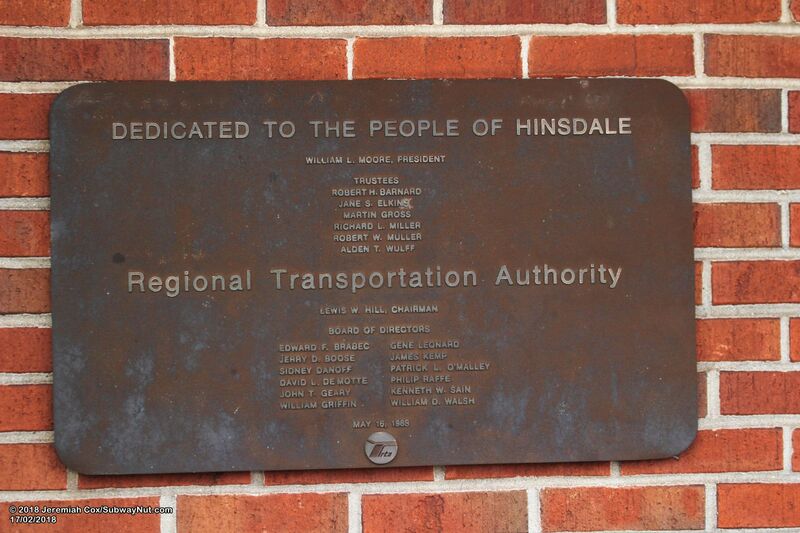 A plaque dedicates the shelters to the People of Hinsdale on May 16, 1983. 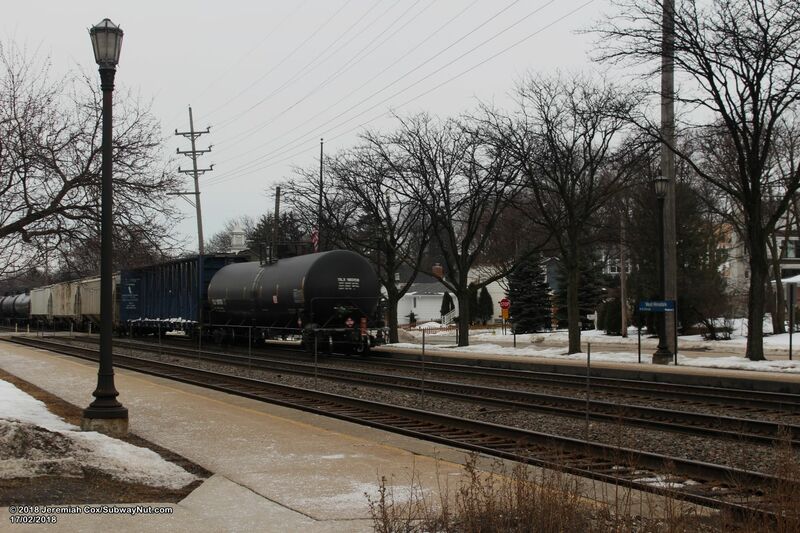 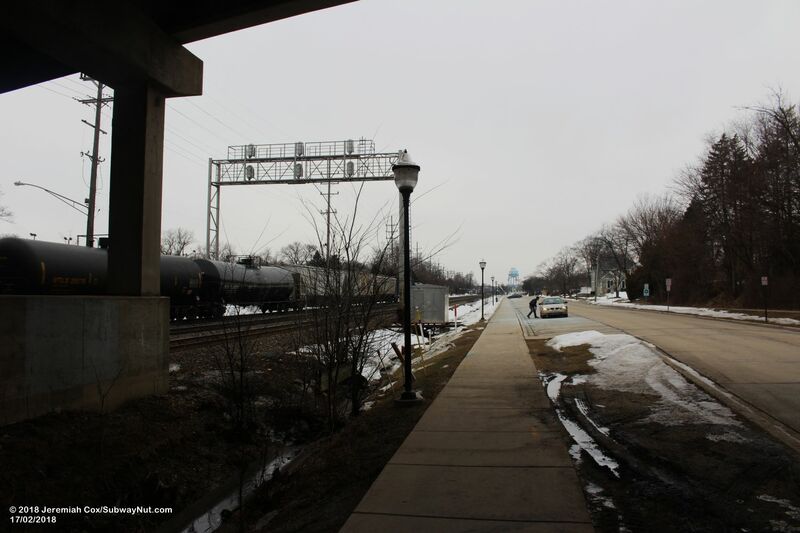 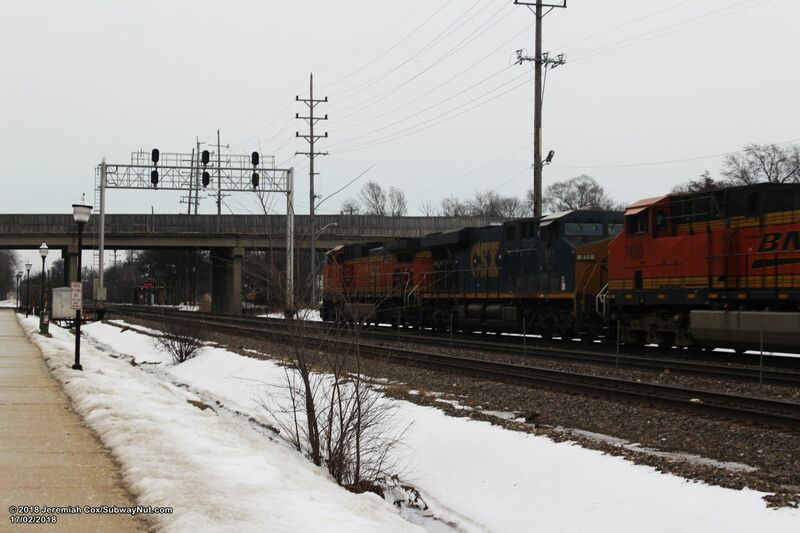 Just west of the station IL-83, the Kingery Highway, has a bridge over the tracks (and surrounding streets).